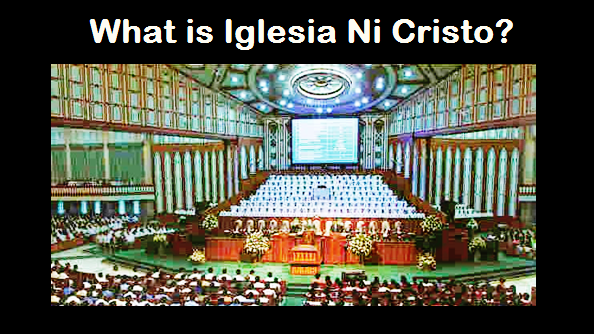 THE IGLESIA NI CRISTO: SHER lOCK IS NOW A "DENIAL KING"
Republic Act No. 9857, the act granting the schutzengel telecom, inc. a franchise to construct, install, establish, operate and maintain telecommunications systems throughout the Philippines was given by the Philippine congress in July, 2009, and signed by the President in December, 2009. It was all over business news in 2010-2012. SO, WHY THE FALLEN ANGELS, ESPECIALLY “SHER LOCK” WERE SILENT ABOUT IT EVER SINCE THEY USE THE SOCIAL MEDIA TO MALIGN THE CHURCH ADMINISTRATION? Antonio Ebangelista is silent about it! Kelly Ong is silent about it! Benito Afleck is silent about it! And Sher Lock is also silent about it! 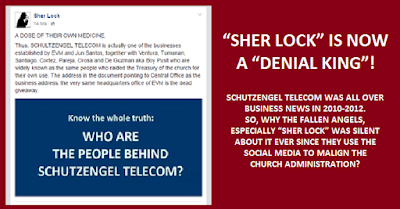 These people are infamous in using all news and informations, everything they can use to malign the CHURCH ADMINISTRATION – but why they are silent about the Schutzengel Telecom if the real people behind it are Ka EVM, Ka Lyn, and the Sanggunian members??? Why Sher Lock??? The reason “Sher Lock” gave in saying that Schutzengel Telecom is of Bro. 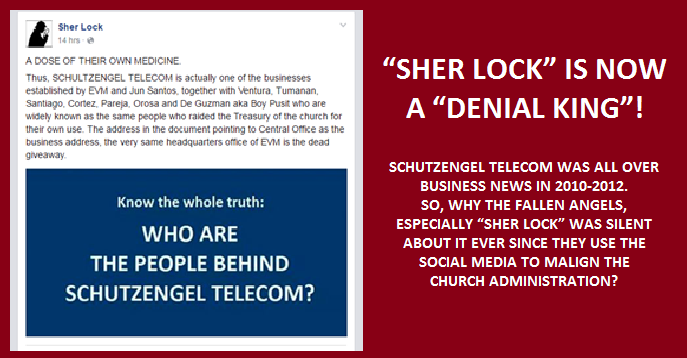 EVM and the Sanggunian members is the “office address” of the Schutzengel Telecom. Sher Lock said, “The address in the document pointing to Central Office as the business address, the very same headquarters office of EVM is the dead giveaway.” Sher Lock is not only a liar, but also a “moron.” Schutzengel Telecom was established in 2009, and where was the office of Angel and Marc in 2009? Yes, everyone are correct, in Central Avenue, New Era, Quezon City. CONTINUOUS DENIAL ONLY GIVING US MORE REASONS TO BELIEVE THAT YOU ARE INDEED A PATHOLOGICAL LIAR (ASIDE FROM A MORON AND A “DENIAL KING”).